No single antimalware engine can keep up with all the malware out there. But how about 57 of 'em? In this video, you'll learn how to download and run Windows Sysinternals Process Explorer to test all currently running executables on your Windows system against VirusTotal's 57 antivirus engines, which together offer the best accuracy you can ever get (with a small percentage of false positives that are pretty easy to spot). 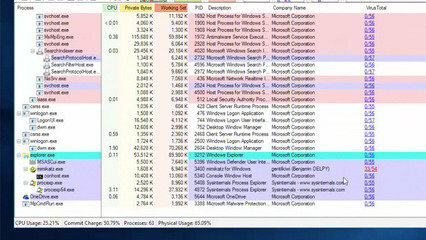 Neither the Sysinternals Process Explorer software nor the VirusTotal service cost anything at all. The whole setup process will take you about five minutes and the scan, which you can execute any time you like, takes less than a minute. Only malware in memory will be detected, but if you're infected, very likely that malicious process will be running -- and this easy method will sniff it out. Watch and learn.